The hunger for environmental justice in New York City was in evidence at a recent public hearing of the City Council that was so crowded that people were forced to wait in a lobby. The Council is considering two bills (Intro No.s 359 & 886) to create an interagency task force and an advisory board to address these issues, as well as authorizing an analysis on ways to reduce the burden of polluting industries on saturated neighborhoods. 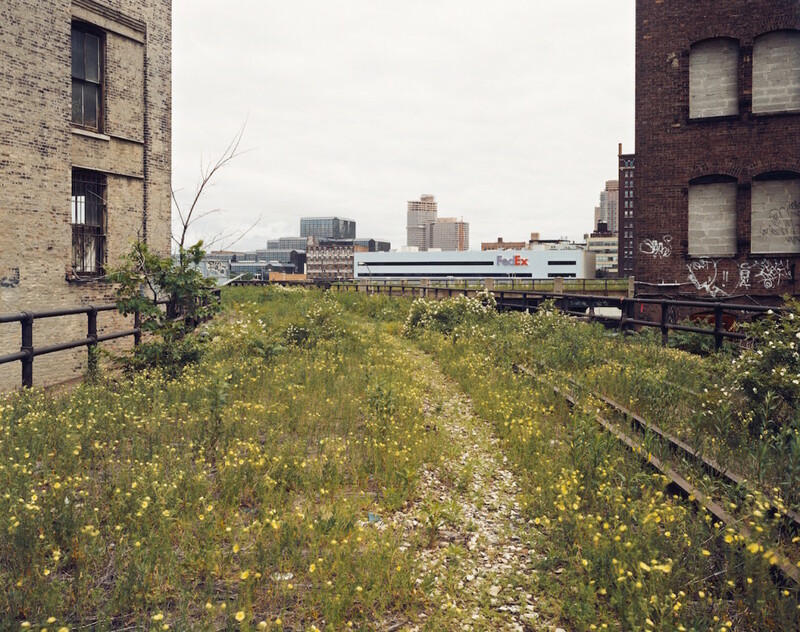 Looking Northwest from 29th Street, June 2000, Negative: 2000; Print: 2009 © Joel Sternfeld; Courtesy of the artist and Luhring Augustine, New York. Before the Fedex facility was moved to Port Morris, it was located in Chelsea, behind where the Highline was being designed. 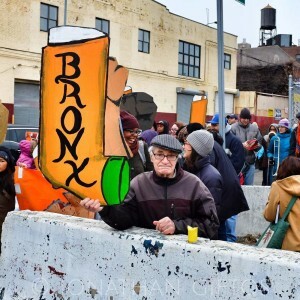 Activists say the use of generous taxpayer subsidies to move polluting operations to the South Bronx is an example of environmental injustice. 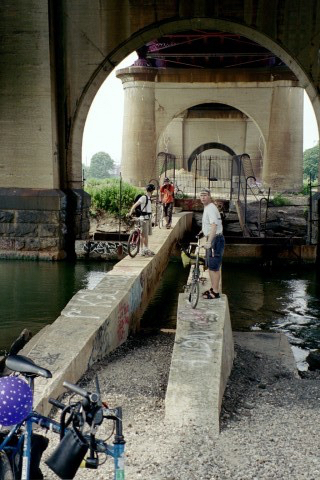 Throughout the city, low-income communities of color with limited access to parks and the waterfront shoulder an unfair proportion of toxic facilities. 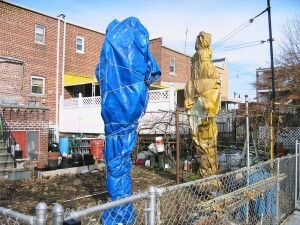 Although it is encouraging that the Committee on Environmental Protection under the leadership of Councilman Costantinides is dedicating attention to this vital issue, residents in affected areas already know very well what the root of the problem is: impacted communities are rarely consulted, and when they are their role is merely advisory. As many in these communities can attest, there have been enough studies and task forces on environmental justice. We need restorative action now. Enforceable mandates and regulations are urgently needed to reverse the disproportionate impacts polluting facilities have had on these communities. The Council should also move to reform the city’s Kafkaesque land use review process, ULURP, which fails to account for the cumulative impacts caused by projects introduced into neighborhoods already glutted with polluting facilities. EJ communities have become the dumping grounds for unwanted industrial uses. FedEx was relocated from Manhattan’s lucrative Highline area, and foisted on the South Bronx waterfront, right next to a gargantuan NY Post facility, and its sizable trucking fleet. For another example, the controversial Bronx Terminal Market and Yankee Stadium projects were each considered independently of the other with no coordinated assessment of the impact the increased traffic and lost open space would have on the surrounding community. As proposed, the advisory board would consist of an astounding 17 members appointed by one person, the Speaker of the Council. What if in the future that person is not an ally? For long-term success and greater stakeholder engagement, these appointments could be more evenly distributed between borough presidents, community boards and others, and should reflect the communities they represent. The task force, as proposed, does not include representatives from the NYC Economic Development Corporation or the related Industrial Development Agency. It should. Those agencies often hide behind opaque decision-making processes to give away cash grants and tax breaks to polluting low wage industries, such as FreshDirect, to which the EDC offered one of the largest subsidy packages ever, at the expense of our community’s health. There are cautionary tales the Council can draw from in creating an effective advisory board. For instance, The New York Power Authority has an Environmental Justice Task Force, but it meets sporadically and offers scant information online. Troublingly, not a single Port Morris resident serves on it, even though government agencies have temporarily permitted not one but FOUR power plants on prime waterfront real estate, thwarting the community’s aspirations of opening up recreation and mixed-use areas along the riverfront. The public will have to be watchful to ensure that any new entity does not become an instrument for the creation of pet projects in more politically connected areas of the city. The law needs to be clearer about meeting times and accessible locations. As presently proposed, it would meet twice annually. If these issues are to be considered seriously, that is inadequate. Advocates have made other suggestions lawmakers should address as the bills are finalized. Organizing more meetings where there’s room for everyone at times that are convenient to the public would be a good step. Harry Bubbins is a founder of Friends of Brook Park. 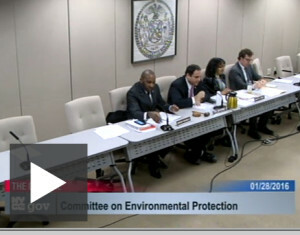 We recently testified at NYC Council about two bills regarding Environmental Justice. The attention to EJ issues is very important, and the two bills can be strengthened with your voice! Selections from our testimony are below and will offer you a bit more information on our perspective of this evolving issue. The sincere interest in Environmental Justice issues was evidenced by an overflow crowd with dozens having to wait outside a recent public hearing. The NYC Council is considering two bills that would create an interagency taskforce and a concurrent advisory board as well as authorize a study to yield recommendations regarding EJ issues. It is encouraging that the Committee on Environmental Protection under the leadership of Council Member Costantinides is dedicating attention to this. Environmental Justice is the fair treatment and meaningful involvement of all people regardless of race, color, national origin, or income with respect to the development, implementation, and enforcement of environmental laws, regulations, and policies. In NYC some neighborhoods bear the burden of hosting more polluting facilities and less parks and waterfront access than others, this is a plain fact. While learning more about the type, sources and locations of the entities and infrastructure that are leading to the health crisis impacting parts of our City is a laudable goal of this legislation, many of us know already all too well what and where the problems are. The problem is that impacted frontline communities are rarely consulted and even then it usually desultory and merely advisory. And many of us in EJ communities will attest, we have had enough studies and task forces about these issues and we need restorative action now. Enforceable mandates and regulations are urgently required to limit and even reverse the historically disproportionate impacts the siting of polluting facilities has had on certain communities in NYC. For example such action on the EJ front could take the form of limiting to 20% the amount of garbage handled by any of the 5 boroughs, restricting the number and acreage of power plants allowed in any Community Board, creating a cap on the number of diesel truck industries or dry cleaning facilities allowed in any neighborhood, and so on. While at the same time creating enforceable mitigating recommendations, for example 1000 trees for every ton of Cox emission, 1 acre of open space for every 10 acres of industrial or residential development. To achieve the stated EJ goals Council should also turn attention towards reforming ULURP, the kafka-esque land use process that most proposed development in the City goes through. There are many recommendations for reform, from the Manhattan Institute to the Neighborhood Retail Alliance and Pratt. For starters, the ULURP process needs to better consider and address the cumulative impacts of a number of densely located projects in any area. 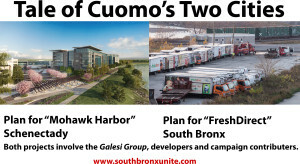 For example, the controversial Bronx Terminal Market and the Yankee Stadium projects were considered each in isolation without evaluating the cumulative impacts of these adjacent projects that would attract thousands of newcomers each day. The traffic, loss of open space, impact on surrounding community were not considered as they would be in reality, but according to a severely flawed process. Furthermore, local community voices need to be better integrated during every step of the ULURP, especially the “Mitigation” and “Alternatives” aspects of that process. Local resources and knowledge are uniquely positioned to best inform how to stop or mitigate the deleterious ramifications of hundreds of diesel trucks, the loss of hundreds of trees or the lost opportunities of other possibly more green development. State Agencies and land and roads currently excluded need to be included in the ULURP process as well. The taskforce as proposed does not include representatives from NYC Economic Development Corporation and related Industrial Development Agency. As the ongoing controversy around larding one of the largest subsidy packages ever on diesel truck company Fresh Direct shows, the EDC and IDA have been guilty of negatively impacting Environmental Justice communities with their opaque decision making that gives away cash grants and tax breaks to polluting low wage industries. It will be welcomed if a further level of review and over-site of top down rezoning plans will be part of the purview the EJ interagency taskforce. Too late now, but the Mayor’s recent Industrial Business Zones change has fixed some communities with a toxic burden forever. With the stated intention of protecting manufacturing jobs, the Mayor has literally banned the creation of any kind of residential development. This inexplicably self hampered his own touted aspirations to create Senior and Affordable Housing in wide swaths of NYC. Such a one size fits all approach has doomed EJ pockets of NYC to be the dumping grounds of power plants, diesel trucks businesses like FedEx or yellow school bus companies and construction debris handling. An EJ Advisory Board may have earlier elucidated this surely unintentional result. The composition of any Advisory Board needs to be as democratic and reflective of the real grassroots demographics of communities. The Council should look at best practices across the country for the ideal method of composing such a body. As currently proposed, the Speaker would appoint an astounding 17 of the members. This may seem like a smart strategy with an ally in office, but for long term success and greater stakeholder engagement these appointments ought to be more evenly distributed to Borough Presidents, Community Boards or others. In fact why not have at least one member of the EJ Advisory Board from every Community Board? Other such EJ entities offer cautionary tales to be learned from. The New York Power Authority currently has an EJ Task Force. They do not meet regularly and have little if any information online. No one from our Port Morris neighborhood of the South Bronx is part of it, despite the fact that government agencies have temporarily permitted not one but FOUR power plants on prime waterfront real estate that has thwarted the aspirations of our community. We have to take care that the Advisory Board does not become an instrument and tool of recommending pet projects in more politically connected areas of the City. The law also needs to be more clear about meeting times and accessible locations. Currently it would meet at most two times a year. If EJ issues are to be considered seriously this is inadequate. There are other suggestions raised by advocates that should be addressed as the final version of these pieces of legislation are formulated and other policies and practices that could readily advance the cause of Environmental Justice are considered by the Council. Having more meetings with room for everyone and at a time when people are not at work 9-5, or longer, would be a good first step. BIG VOLUNTEER DAY SATURDAY THE NINTH. 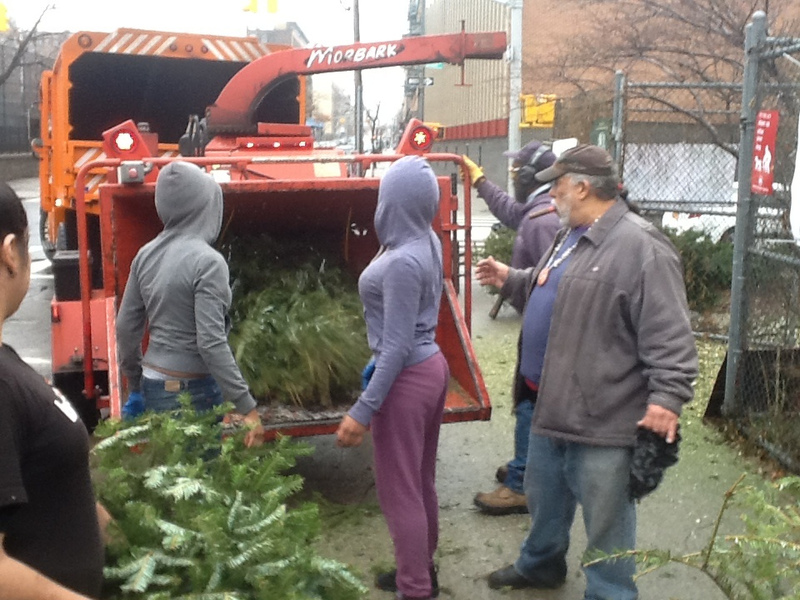 Join the New York City Department of Parks & Recreation, the New York City Department of Sanitation , and GreeNYC to recycle your Christmas trees into wood chips. 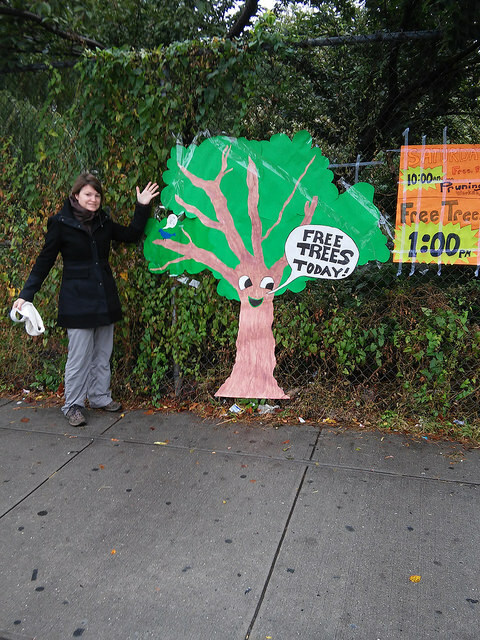 These wood chips are used to nourish trees and plants on streets and gardens citywide. Or, take home your very own bag of mulch to use in your backyard or to make a winter bed for a street tree . More than 30,000 trees were recycled last year. Help us top this number! 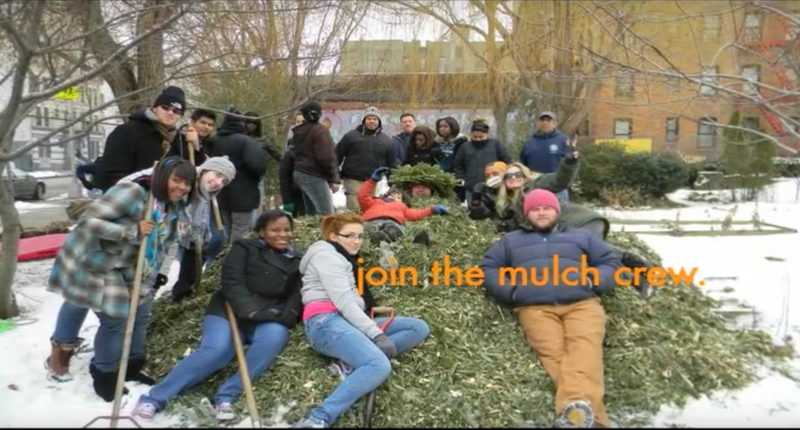 This year, MulchFest will take place on January 9 and 10, 2016. It’s easier than ever to chip in! There are two ways you can help. You can bring your tree to a chipping location on January 9 and 10 from 10:00 a.m. to 2:00 p.m. We’ll chip your tree, and give you your very own bag of mulch! Or you can bring your tree to a drop-off site from Saturday, January 2 through Sunday, January 10. Leave your tree with us, and we’ll recycle it for you later! 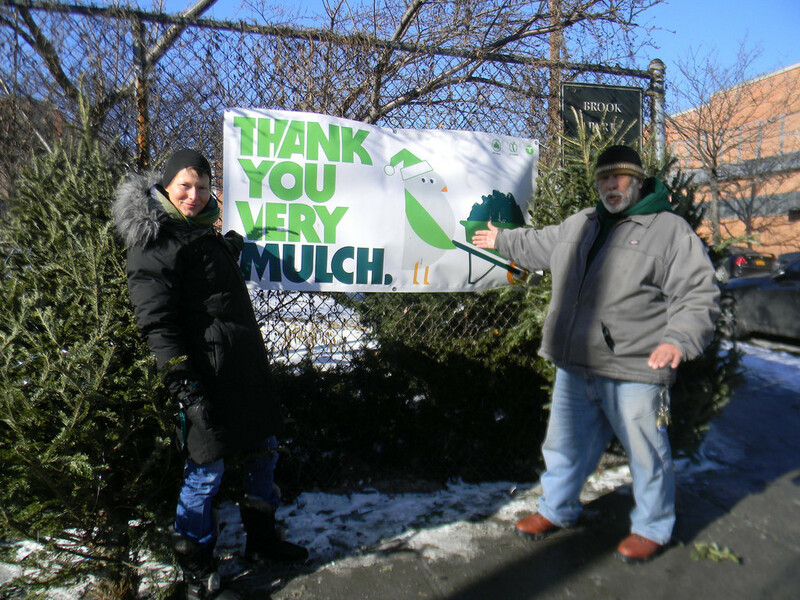 Find a MulchFest location near you! We have learned that New York Power Authority is going all-out to win state and federal approval for the Power Plants in the South Bronx before New Year’s so that it can keep polluting for five more years. We have got to mobilize a public outcry right now if we are going to stop NYPA from giving South Bronx and NYC residents a continuous fossil fuel nightmare for the holidays. Here is what you need to know: NYPA cannot proceed without a Title V and Title IV renewal permits from the NYS Department of Environmental Conservation. Sadly, the NYSDEC has totally ignored community concerns raised in hundreds of your comments and from an in person meeting with NYPA and DEC staff. They recommended NO PUBLIC HEARING and NO CHANGES at all in the EXPANDED operations in response to HUNDREDS of comments. But the Federal Environmental Protection Agency can reject any Title V permit according to the Clean Air Act! So it is crucial that Congress Member Jose Serrano hear from hundreds of us immediately — telling him to stand up to NYPA and the NYSDEC and encourage the EPA to reject the permit and stop the disastrous pollution and misuse of our precious waterfront land. Because this threat is so extraordinary and so imminent, I am asking you to take one minute to email the office of our Congress Member for maximum impact. Please click here to send an automatic email message. You will be linked through to the office of Congress Member Serrano where you can send an email message. Feel free to add your own personal thoughts and feelings about this threat. I cannot stress how important your action is. The NYSDEC has already given conditional approval to the power plants. So prevailing on the Congress member is our last best chance to stop it. The NYPA Power Plants were forced on us years ago. They pollute our air, contributing to the asthma epidemic and completely prevent far wiser uses of our shoreline. The four power plants on our waterfront use natural gas and thereby encourage an increase in fracking. After Paris the world knows the dangers of continuing to burn fossil fuels. NYS is shutting down dirty power plants and converting to renewable wind and solar, but only upstate. Why not shut down power plants in the South Bronx? Continuing to keep the FOUR power plants burning in the South Bronx would deepen our addiction to climate-destroying fossil fuels and impede the move to renewable energy. Big Oil and Gas could even use it as a stalking horse to roll back our historic ban on fracking by clamoring for more so-called natural gas. Thank you, as always, for standing with our community in defense of our environment and communities. seeds for a whole garden, feeding at least a dozen families. bed for our Youth Farm. costs of guiding a canoe trip with 8 canoes for South Bronx youth. where we can do twice as much. HERE to make your gift today and double your impact! 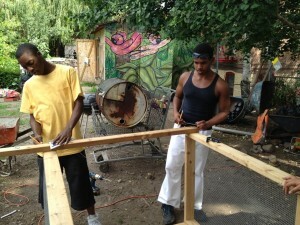 See this great clip about our collaboration with Bronx Hot Sauce. All year long young adult participants in our Alternatives to Incarceration program with Community Connections for Youth have mostly been responsible for tending the Serrano pepper plants. See the clip by clicking the photo below. And you can contribute to our End of Year Fundraiser Drive click here, or contact us for other ways of giving. “Nineteen-year-old Junior Leiva has carefully plucked peppers that will end up in stores across the country in bottles of Bronx Hot Sauce – a product made with produce grown at community gardens across the borough. 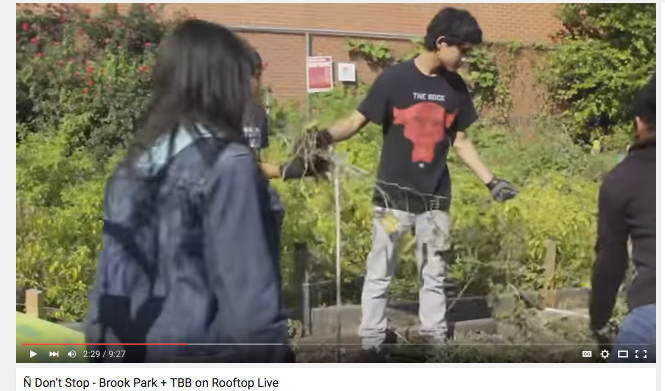 A major goal is supporting struggling communities in the Bronx and the often overlooked people who live there like Leiva, who’s growing peppers at Brook Park as part of a program for teenagers who got in trouble with the law. “They can have a sense of the possibilities for them as a result of learning the really fine art of urban agriculture and now having an opportunity to take it up to a level where they could earn income,” said Ray Figueroa, Program Director at Friends of Brook Park. The peppers which become hot sauce virtually go from community gardens like the one in Brook Park to businesses like the Bronx Beer Hall where they sell the product to their customers….” See the rest by clicking the photo below. Click the photo for the short video from NY1.